Target used to have the BEST Halloween stuff! Real ceramic and melamine plates (that I use year round), actual glassware, sturdy decor, and tons of seasonal sweets. Sadly, their seasonal decor and kitchenware has taken a dive in quality the last two years, but the candy section has yet to disappoint! Seeing all these skulls, pumpkins and bats on the shelves warms my gothic-heart. (I may not dress like it anymore, but my heart still beats for all things Halloween.) So I walked up and down the aisles and grabbed a bunch of Halloween goodies to review this week. I'm really excited, so let's get started! On this handy-dandy resealable plastic bag we have a clear pumpkin-shaped window, a giant pumpkin-version of the logo, and illustrations showing that the sweets inside are shaped like spooky seasonal items! With all this stuff going on with me moving into a new house, and my job, and tons of paperwork...I am burnt out on adult-ing. I wanted to be a kid again and photograph something fun to review, and thanks to the bag I decided that this was going to be it! Once opened, you can see that the shapes aren't as detailed as the illustrations on the bag would have you believe, but they're still really cute. We've got spider webs, jack o' lanterns, bats, skulls, a witch's hats and...a glove? A hand with no fingers? What is that? I honestly have no clue what it's supposed to be and I feel like it was a really unnecessary addition. They have four flavors and four strong spooky shapes, why toss this wildcard into the mix? 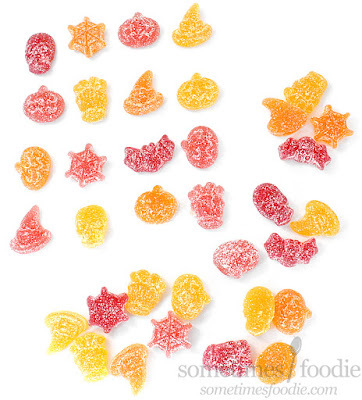 Weird shape aside, we have four different fruity flavors in this mix. 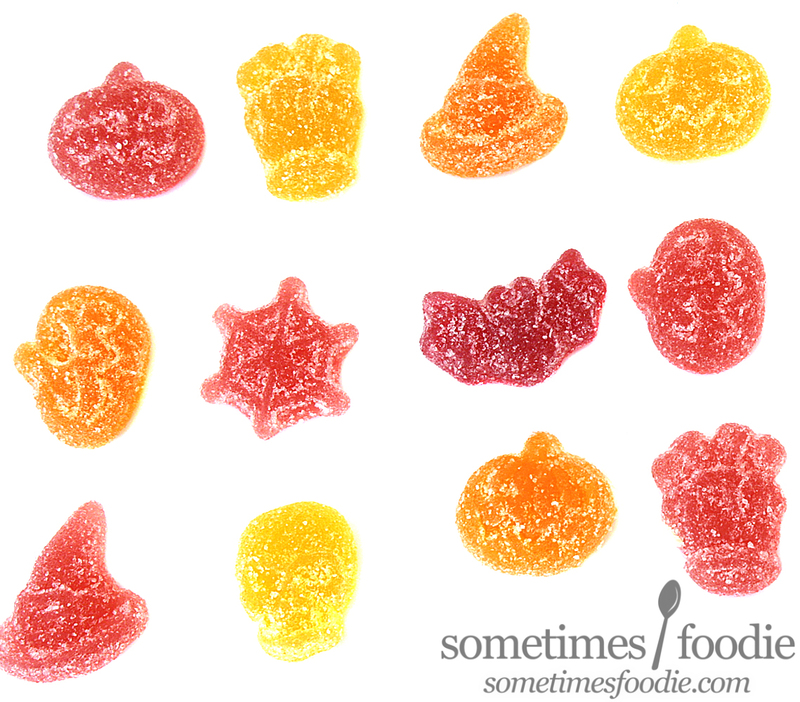 All four of these flavors are sweet and they have a soft jelly-like gumdrop consistency. The sanding sugar outside is just that, sugar, there is little to no tanginess or tartness at all. Orange (orange) - zesty, but mild, with a mandarin orange-like finish. Surprisingly sweet and juicy. Not tart at all. It reminded me of Ecto-Cooler. Not a bad flavor, but it's super sweet and nothing I'd consider "tart." Yellow (lemon) - another really sweet flavor with some mild zesty notes and once you chew it up you get a mild tangy flavoring similar to instant lemonade mix, but it's not very tangy or tart at all. Pink (strawberry) - Most mild of the bunch, it takes a few seconds to really get going and once it does it's similar to a pink starburst, then once you start chewing it gets a bit brighter, jammer, and tangier. I really liked the tanginess and felt this might be the most "tart" of the bunch. Also worth noting that this had a fairly realistic strawberry flavor towards the end that I really appreciated. Red-Violet (black cherry?) - this was the only flavor I was unsure about, I tried googling it and it seems like other people think this one is raspberry, but it tastes more black cherry to me, so that's what I'm going with. This one starts out sugary and sweet but once you start to chew you get a deeper, richer, cherry juice flavoring that is really refreshing and tart. It's not sour, but it does have that tangy mouth watering flavor that you'd get when drinking fruit juice concentrate. This was actually my favorite flavor of the bunch because of it's complexity. Even though the flavors are enjoyable on their own, they tend to run together when you're snacking and it leaves me with a cloying overly-sweet taste in my mouth that I don't really enjoy. 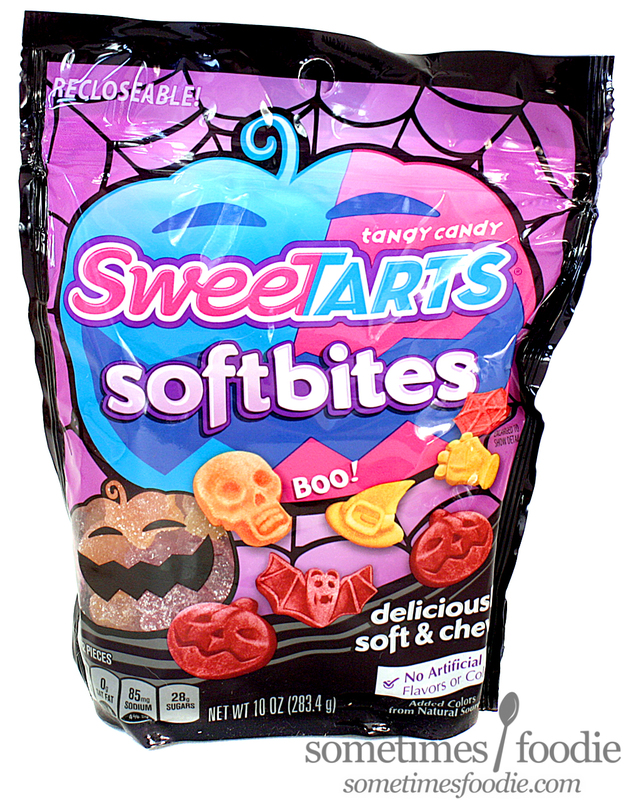 So even though each flavor on it's own is okay, I probably would but this again unless they add a bit more tartness to the flavor profile. So yeah, I didn't care for these all that much, but my mother and sister LOVED them. Between the two of them they nearly polished off the bag, so it's really about personal preferences. 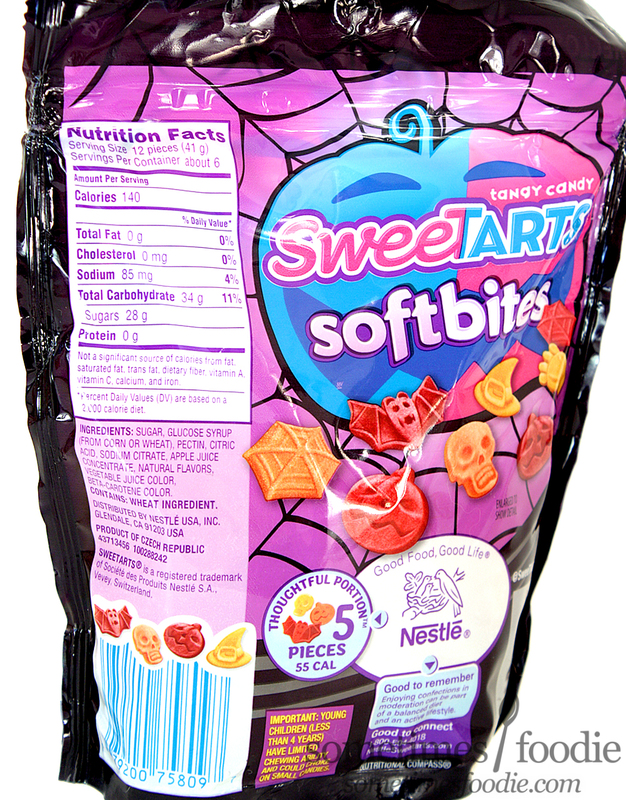 I thought these were too cloying and sweet, but they really liked them and their soft gumdrop-like consistency. 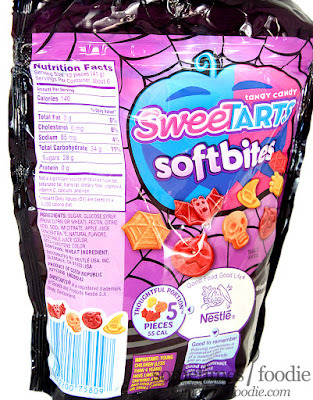 If you're a fan of Sunkist fruit gems, you'll like these, but if you'd looking for a truly tangy candy, this isn't it.